Italian carmaker won't want to be reminded about these monstrosities. 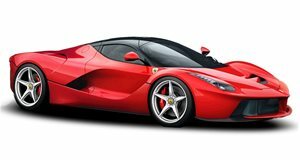 Ferrari – the iconic supercar manufacturer embodying everything Italian about sports cars; passion, emotion, beauty, and speed. With an illustrious history in road cars and race cars, , but it should also come as no surprise that there were many models that didn’t quite look so good. Fortunately, most of them were concepts that went no further. Other times, the concepts inspired road going vehicles with far more beauty; and sometimes, private designers tried their hand at a new Ferrari that should have been left well to the back of their imaginations. We’ll start the list off with the Sergio by Pininfarina, named in honor of Sergio Pininfarina and revealed to honor the man who died a year prior to the unveiling in Geneva, 2013. Based on a Ferrari 458, at first glance, you’d be hard pressed to tell which end is the front, especially since the Sergio doesn’t have a windscreen. Certain design elements were inspired by the original 1965 Dino concept of Sergio Pininfarina’s penmanship, but most of it is just horrendous. , though now featuring a windscreen and less oddball styling – though by no means a real improvement. Based on the Testarossa, the Ferrari Mythos was yet another Pininfarina designed concept that divided opinion when unveiled. It was far sleeker than the car upon which it was based but lacked any real shape – as if designed purely in a wind tunnel with no consideration for aesthetics. It was powered by the same 390-horsepower 4.9-liter flat-12 as the Testarossa, and gave the Mythos a power to weight ratio of 308 hp-per-ton. Thankfully, the car the Mythos evolved into, . Much like how the Mythos evolved from ugly to glorious when it turned into the F50, the . The original concept looked shapeless and slit-eyed, and more befitting of a children’s cartoon than the halls of Ferrari’s in-house design department. The proportions also seemed odd, though it’s difficult to place a finger on what’s so unsettling about it. Fortunately, the LaFerrari remedied it all by being rather stunning to behold. Peter Simon is a rather ingenious designer, famed for penning the ‘E-Bone’ design language for a range of city buses. But something possessed him to take the design and work its language into , with the result being this hideous piece of trash. Simon envisioned what the next generation Enzo might look like, but somewhere along the line, Salvador Dali got involved too as this concept looks to have derived more than just a little influence from melting clocks. Thankfully, though badged a Ferrari, the Italian firm wanted nothing to do with this, and it never went anywhere near production. 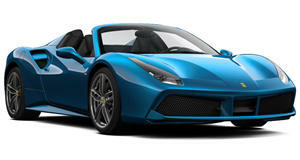 According to Ferrari, . However, the 308 GT Rainbow was actually the first, dating back to 1976 when Bertone returned to Ferrari designs after a 15-year absence. While the idea of a retractable hard-top wasn’t a bad one, the rest of the car didn’t quite have the same appeal we expect from Ferrari, with wedge-design and bug-like pop-up headlights and odd proportions that seem vaguely DeLorean-like. We’re thankful this colorfully named concept stayed just that. From some angles, the Ferrari Modulo looks pretty damn cool. The futuristic Paolo Martin designed concept debuted in 1970, looking more like a spaceship than a motor car, with an extremely low, wedge-shaped body and a canopy styled glass roof. But when you actually take a look around, you can be thankful that the concept that debuted in 1970 never went beyond the concept stage. However, what was highly impressive on the concept was the engine. Hidden beneath the 24 holes in the engine cover was a 550-hp V12 engine that could propel the Modulo to a projected top speed of 220 mph, which for 1970 was quite an achievement! . 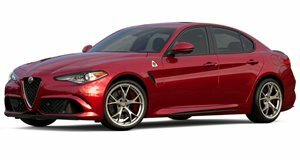 While the Alfa Romeo Giulia Quadriglio is frequently referred to as a Ferrari sedan, in the 1980s . Its looks resembled somewhat of a cross between the Aston Martin Lagonda and a Mercedes-Benz – somewhat of an anticlimax for the design house, Pininfarina. The 4-door sedan featured a front-engine, rear-wheel drive layout and was powered by a 4.8-liter flat-12 engine and a 5-speed manual gearbox. Ultimately, the idea was canned due to the sedan not following the philosophies of how a Ferrari should drive. Thank the car gods for that! This is yet another car wearing the prancing horse that wasn’t really commissioned by the folks at HQ in Italy. Instead, , based on the Ferrari Testarossa, with the sole intention of breaking speed records. The 4.9-liter 12 cylinder engine was twin-turbocharged to produce 740 horsepower, which enabled the Testa d’Oro to reach 218 mph in 1991, setting a new record at the Bonneville Salt Flats. Let’s call the styling on this one a perfect example of function over form. I’m beginning to think Pininfarina had a hand in many atrocities that befell Ferrari concepts, as the 512 S Berlinetta Speciale is yet another design from the Italian design house. Launched at the 1969 Turin Motor Show, the concept penned by Fillipo Sapino was the first Ferrari to get the wedge treatment that defined that era of car design. The naming also confused onlookers, as there was no 5.0-liter V12 under the rear deck lid. Despite being based on the 312P, it wasn’t even a 3.0-liter 12 cylinder, but rather a 6.0-liter from a 612 Can-Am racer. It was a theatrical design, replete with a forward lifting canopy and clamshell rear deck lid, but we’re glad this remained a concept.